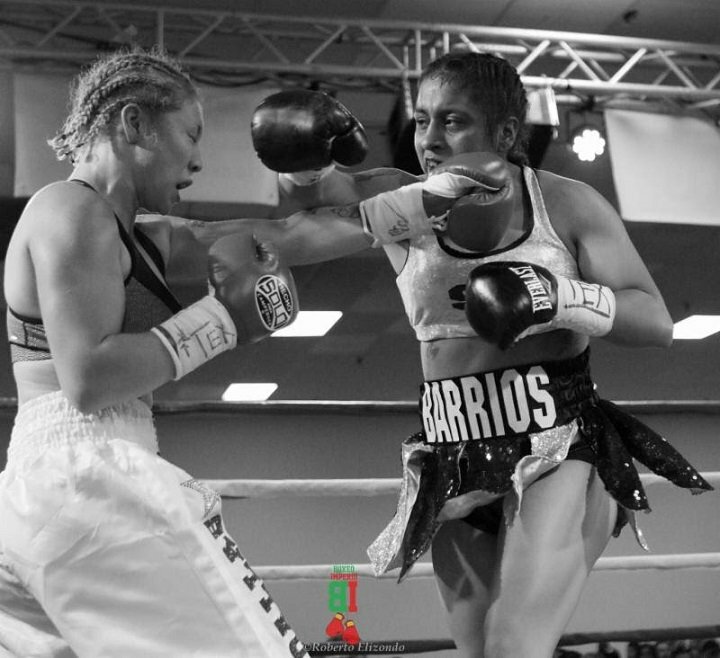 Two days after Halloween, unbeaten female sensation, lightweight Selina “Aztec Queen” Barrios (2-0, 1 KO), has spooked her opponent, Zarina Tsoloyeva (Pro Debut) from Zhaksy, Kazakhstan, as she backed out of their scheduled 4-round bout, set to take place today at The Rayne Civic Center in Louisiana. Tsoloyeva refused to step on the scale at yesterdays weigh-in. Selina Barrios is one of the most avoided female fighters in the United States and now Kazakhstan. Ebony Jones from Alabama, Alpha Patricia Lopez from Mexico, and now Zarina Tsoloyeva from Kazakhstan, all signed to fight Selina but backed out to fight her at the last minute. Jones and Lopez were no shows, while Tsoloyeva who is from the distant land of Kazakhstan, showed up to the weigh-in, but declined to step on the scale. Nothing will derail Selina as she stays positive and continues to work hard, looking for that opportunity to challenge the best the lightweight and super-lightweight divisions has to offer. Selina’s handlers must now move her to six and eight round bouts right away, to chip away and get to a championship fight as she gains more ring experience as a professional.